New version with Head to Head play! Play against your friends over the Internet. Compete for the global Game Center Leaderboard. Download over 580 FREE missions! Tanks, aircraft carriers, choppers, stealth fighters all at your fingertips. A full sized battlefield squeezed into a tiny package. 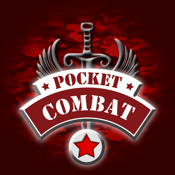 Create a war in your pocket and share it with friends! Unique combination of strategy and action in a real time war game that you can play over the Internet. Peace talks have broken down. Your little country has been invaded. You have the troops, you have the weapons: all that remains is for a commander to step forward and lead the way to victory. 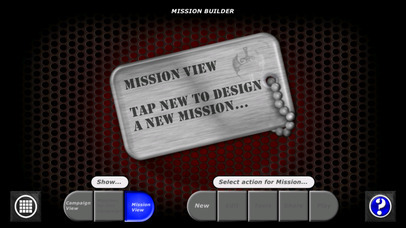 This version has Mission Builder built-in: Create your own missions to play solo or head to head. Share them with the world! Download over 580 missions for FREE! And now with in-game currency to buy any weapon you need, when you want it! Collect patrol points to build your arsenal. Control 1000s of ground troops with a swipe of your finger. Lead them over beautiful terrain into pitch battles with the enemy, around natural barriers or even into tactical retreat. Deploy brute force and advanced weapons to tackle the enemy invasion and bring peace back to your tiny country. Each mission brings new challenges - speedy reactions, thoughtful problem solving, military tactics and aggression are all needed to be victorious. Have you got what it takes? Great weapons: tanks, bombers, choppers, minefields, bridges, missiles, sea mines, destroyers, aircraft carriers, stealth fighters... and the terrifying spark grid. Your tiny country needs you! Missions are a mixture of plain old fighting, rescuing the civilians, escaping from impossible predicaments and surviving the enemy onslaught: everything you could want from an battlefield in the palm of your hand. 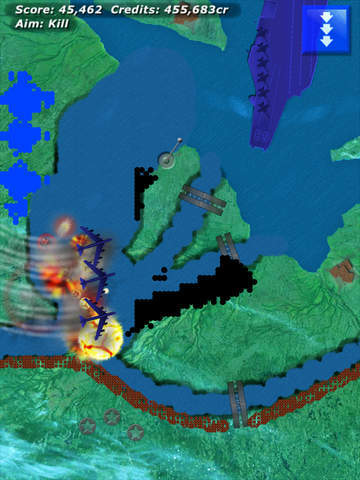 Air, sea and land battles with troops, tanks, helicopters, bombers, guns, minefields and 20 other weapons! Wind down from a hard day with some carpet bombing and machine gun action! This iPhone & iPad friendly game is the perfect antidote to your peaceful existence. Sometimes you just want to bomb the heck out of some bad guys.